If your rug is suffering from unsightly damages, professional rug repair is the best option of getting it looking as good as new. Instead of replacing your rug, professional rug repair can save both time and money. When choosing a rug repair company, you want to pick one that is not only reliable, but also has years of experience. KIWI Services in Atascocita has over 30 years of experience and hundreds of thousands happy customers. 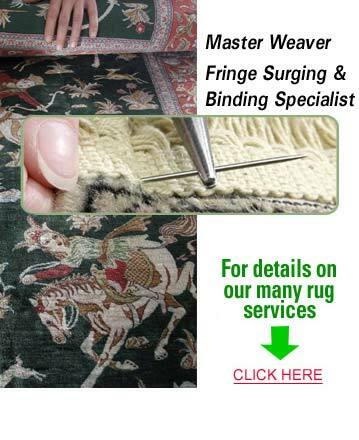 If you are looking to bring your rug back to life with professional rug repair, then look no further than KIWI Services. Happy customers are important to our company. We want to make sure all of our customers are 100% satisfied with every aspect of their KIWI experience. Our representatives and technicians will go above and beyond to make sure every part of your experience is satisfactory. We also offer a one-year rug repair guarantee, so if you should run into any issues, give us a call and we will perform a complimentary re-do.